That leading map doesn't look that aggressive, if you have good gas available you might be able to push it further. But really I can't recommend enough building your own det phones. Good to know. I don't plan on pushing any further, especially without the proper diagnostic devices. The intent here was just to get over the high rpm pullback of the stock map. I'll post my trailing map when I get home for reference. Temperature has very little effect on det (it does effect optimal timing, which can in turn effect det if not maintained.) it does directly effect power. As long as IAT compensation works shouldn't be an issue. I would not worry about it too much on an NA engine. Really, I've done some crazy stupid things with timing and the engine I did that to hasn't lost compression or otherwise suffered and this was all before I started monitoring detonation. With an NA engine I don't think it's easy to cause quick damage, most of the damage is long term to the side seal springs. Not trying to cause a scare, just trying to shine some light on the issues involved. I think tuning will be a lot simpler in a few years and a lot more forgiving. Remember it took years for the Rx7 community to start figuring it out. !Do Not Plug And Play Without Testing! This has got me damn near close to hitting my AFR targets. I will be logging some more data later and post them up here for reference. this is some neat stuff, but if this is a how to be a tuner thread, shouldn't we have some definitions of the maps and parameters, what they do? how they work? what maps are mislabeled? etc. I think if you watched the videos - the label on those maps would make a lot more sense. Agreed. I urge you to watch the videos. It will probably go over far better than any description typed out here. does it ever mention the fuel maps are wrong? Which fuel maps are you talking about? I briefly went through the videos but I didn't notice it mentioned that the Closed loop A/F targets 'A' table on the Cobb (don't know about mazda edit) is really the master fueling coarse adjustment. If effects every gear in open loop and closed loop. This is one of the biggest goofs on the Cobb, and very helpful when trying to figure out what's going on with demanded AFR. Pretty much just divide the Gear A/F table by the Closed loop A/F targets 'a' table and you get real AFR demand. It can also let you get into lean burn if you go less than 1. Oh don't mess with the closed loop 'b' table. If you do strange and bad things will happen, it appears to be some sort of offset or gain for closed loop to make the AFRs cycle around stoich for the catalytic. If you want to see your AFRs swing wildly rich and lean then change values on that table. some where else oltman read the machine code and said closed loop B is for the secondary 02 sensor. also RPM delta was very brief, and only talked about the A table and something about adding to it if your FI, but it doesn't suggest how much. audio cuts out about valve hysteresis in regards to Forced induction. Last edited by FazdaRX_8; 06-18-2014 at 01:29 AM. the values for the RPM Delta are wrong in ATR too. I have been thinking about adjusting them for boost application, just not sure what to do with it. I have successfully exceeded the 200% calc load limit by increasing the IAT and BURO comp tables, without any negative side effects. calc load max value x IAT comp value x Buro Value = abs max load, this values can be logged and fuel maps arranged to hit 250% calc load. I have assisted in successfully logging 233% calc load. Last edited by FazdaRX_8; 06-18-2014 at 01:36 PM. Part of the reason why I remind people to try to not touch as much as possible is to avoid weird combinations of tables throwing them off. These are prefect examples. If it isn't broken then don't fix it. 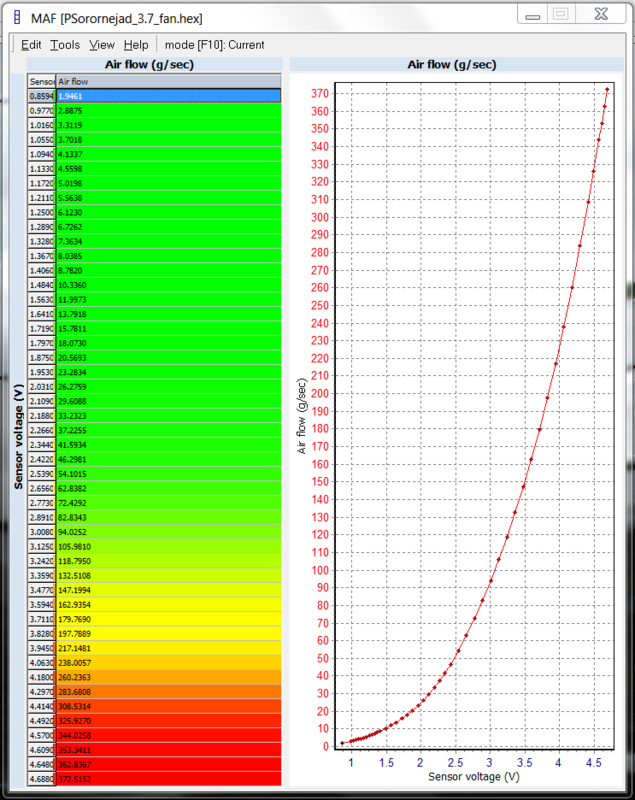 In regards to forced induction - you need to observe a flatline on the MAF curve before you start to open ports earlier. I haven't seen a lot of benefit at current power levels when opening them much sooner but I have seen reductions in power by opening them sooner. 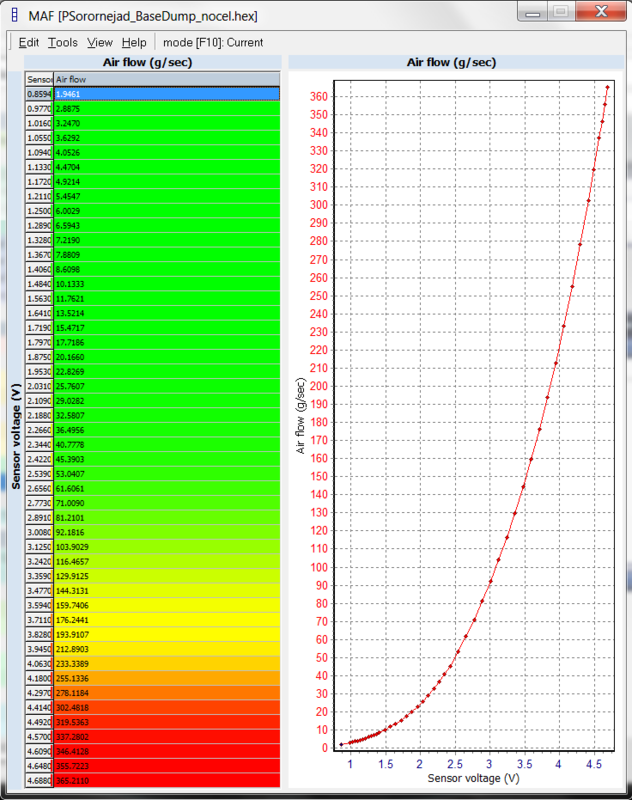 adjusting the rpm delta for a transition from cruise state rapidly changing to a boost state. this can happen during cruise while passing, I have heard ping because of this in the far past. I have viewed some of my logs, and used my exel program that shows me commanded timing vs reported timing, and during the transition from steady state to a state of accelerating, but not during acceleration. only in this particular area does the timing not match commanded. I believe this has something to do with the RPM Delta. my thought is to raise it some to pull more timing for a rapid change of motor state. in an effort to avoid ping. I do have a larger turbo and it takes more time to spool but for smaller turbos with instant response perhaps this is a life saver. Last edited by FazdaRX_8; 06-18-2014 at 05:13 PM. I add fuel to the throttle acceleration maps and haven't had ping that I know of. You could try to max those tables out (retard them all to say -20) and then log to see when that table is active. That might help you identify what to change and by how much. However, I choose the muscle car line of though (manual ignition) that advances timing upon acceleration and dumps fuel. I have extra fuel in my throttle acceleration too. 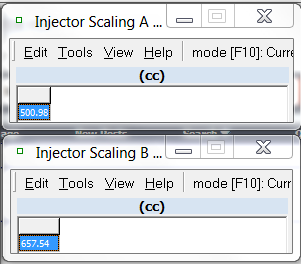 One thing that I have been confused a bit about for a while has been the mention about MAF scaling, and 5.5g/s idle. I am not sure about other S2 owners ... but my car idles at about 1.8v ... so in that case, I dont think 'target 5.5' makes sense right? Wouldn't the goal here really be to take your idle maf voltage average, as well as your idle maf flow average... and compare that against the map (ideally factoring the lambda difference)? Your number should correspond to what you see in the map (or pretty damn close) else you may need to scale a bit. What is the impact of drastically altering the MAF curve? So assuming i got my math and alterations right, this altered the curve quite a bit, and deviated from the original polynomial curve. I assume that this all leads to a more accurate MAF band .. but at what point does one step back and say "ok im doing far too much modification to the maf scale...i have another issue"
The S2 100% stock guys could all post their MAF g/sec and that would give you potentially a different average. But Comparing your MAF against itself defeats the purpose. You are comparing your MAF at idle to the average MAF so that you know if you need to scale yours from the get go. Good call - I meant that I just didn't say it. The X axis would be RPM and the Y would be MAF. [QUOTE=Kane;4608452]The S2 100% stock guys could all post their MAF g/sec and that would give you potentially a different average. But Comparing your MAF against itself defeats the purpose. 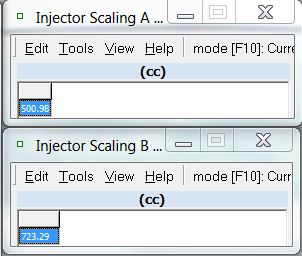 You are comparing your MAF at idle to the average MAF so that you know if you need to scale yours from the get go. Little off topic but pulled an idle log yesterday on the OE map, pulling 5.45g/sec, STFT-/16 but my LTFT are -6 that makes no sense at all to me. Quick Reply: So, you want to be a tuner? Look no further.